Through all the demolition (2005) this Saguaro stood and is still standing - May 25, 2012. A giant phallic symbol left for employees who lost their jobs and pensions. 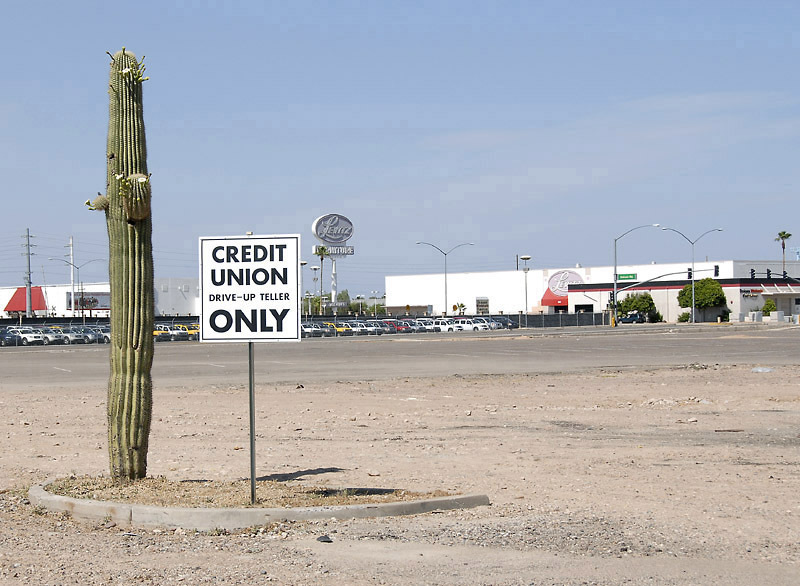 May 2012, the Saguaro is still standing but someone snangged the Credit Union sign.